Obama’s Take A Bike Ride! When being the President does not fill up Barack’s schedule, he and his family like to go on a getaway. On their most recent mini vacation, the family visited Martha’s Vineyard in Tisbury, Massachusetts. 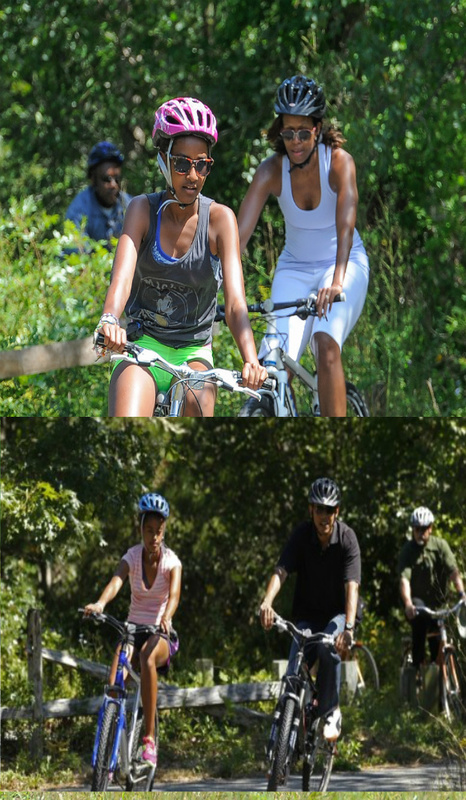 Because Michelle has been motivating kid’s to workout and get some fresh air daily, it is no surprise to see the family go on a scenic bike ride. Long story short, if the President can take time off to get some exercise, you most definitely can too! Hit a bike trail or take a spin class to get your endorphins and blood flowing like the president and his family.